Happy Sunday! Thanks for joining me for another FB Live! Today I wanted to feature one of my favorite suites in the annual catalog and it’s called Nature’s Poem. I love this set not only because of the beautiful images, but because the set is so versatile. 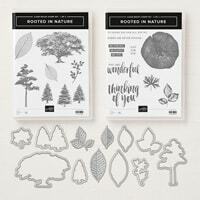 This gorgeous stamp set comes in 2 cases and is full of both natural images and beautiful sentiments. There are also coordinating Framelits called Nature’s Roots. Some of the dies can be embossed using our new embossing mat. The designer paper is gorgeous and the matching embellishments & accessories really take this suite to the next level. I don’t know about you guys but I struggle with masculine cards and this set is great to create cards for the gentlemen in your life. I decided that since this set would make a great Father’s Day Card, I created one below. Another awesome thing about this set is that there are so many beautiful techniques you can use to create emaculate projects. 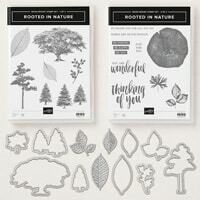 This set also coordinates with another well loved set in our catalog called Lovely as a Tree. Congratulations To Last Week’s Winner! Winner for this week’s Live will be announced next Sunday!! Next week’s winner will be announced during next Sunday’s Facebook Live (5:00 EST)! This giveaway will close out on Saturday!!! Good luck & see you next week for another FB live! !